Designer Wonmin Park explores aluminum and resin in his first solo furniture show. 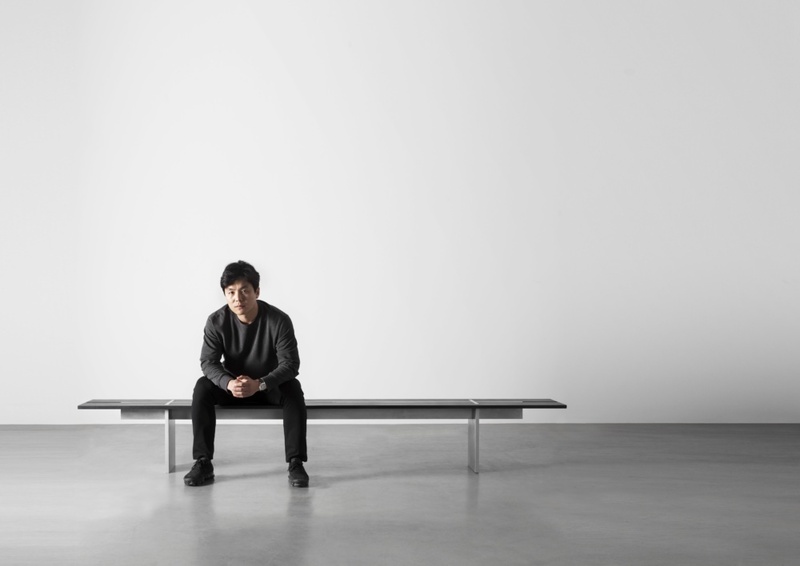 Pictured here: South Korean-born Wonmin Park sitting on a bench from his Plain Cuts collection at the Carpenter's Workshop Gallery in Manhattan (Courtey of Carpenter's Workshop Gallery). Wonmin Park is known for his furniture, which is thoughtfully subdued and delicately intentional, much like the South Korean artist himself. His work takes patience, as his concept-driven design process involves creating works where the aesthetic notion is formed by combining all the material characteristics and particulars. Park was born in Seoul and had a brief encounter studying architecture in Korea until he moved to Europe—where he has spent nearly half of his life. At 35, he presents his first solo show, Plain Cuts, at The Carpenter’s Workshop Gallery in Manhattan. The exhibit highlights new iterations from his 2013 Haze resin series, characterized for being geometric, translucent, and textured. The collection was Park’s first exploration of a material that turned into a full-on collection of art objects and produced an anthology that expressed a material’s elemental qualities. Plain Cuts is his survey of aluminum, a compilation of stoic metallic sheets in figure-ground-like compositions. 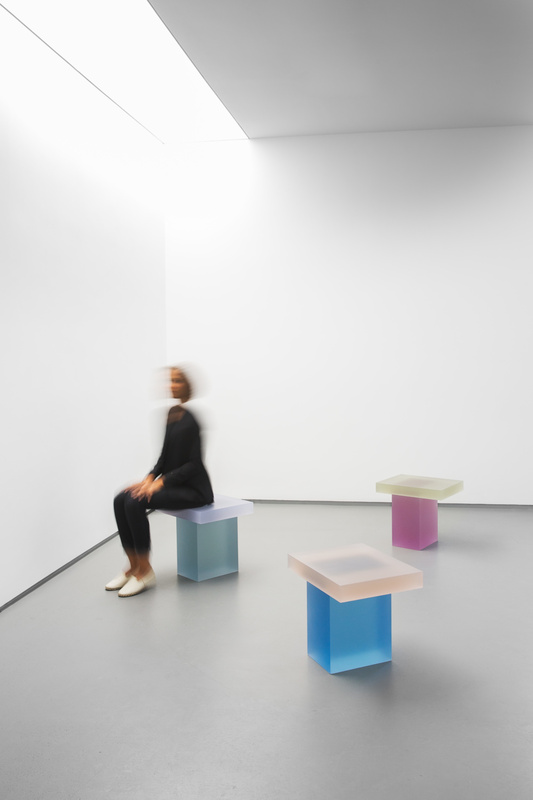 Wonmin Park’s resin furniture series, Haze, at Carpenters Workshop Gallery in Manhattan (Courtesy of Carpenters Workshop Gallery). AN spoke with Wonmin Park about how he works, materiality, and what is most important in his work. The Architect’s Newspaper: How do you feel about aluminum as a material, both conceptually and physically? Wonmin Park: Aluminum has an interesting history. This material was considered a luxury for awhile, and after new ways of invention and production, the price has dropped. Aluminum is considered an ordinary material today, but I found that there are still many things left undiscovered. It is has a strong strength but is also lightweight; therefore, I was able to create light forms and structures with it. The raw colors and textures are beautiful, but so is the color variation with patina and the raw color itself and texture. 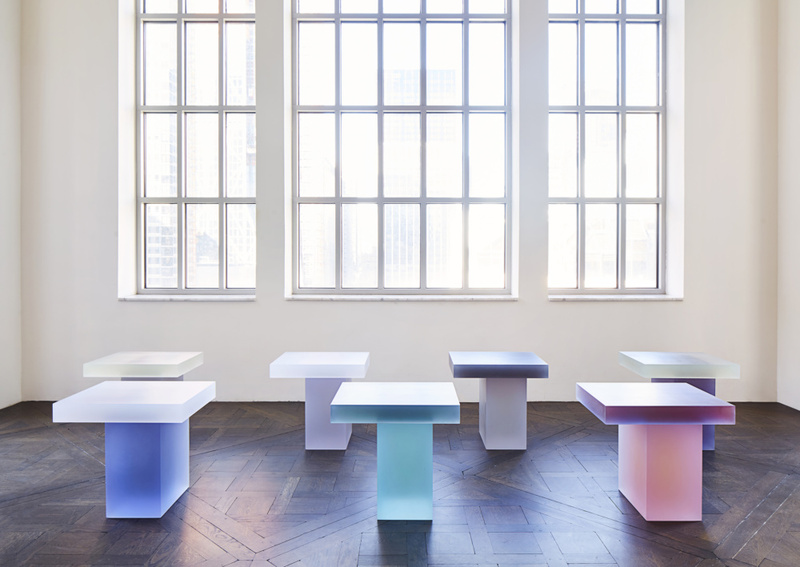 Stools from Wonmin’s new Haze collection (Courtesy of Carpenters Workshop Gallery). 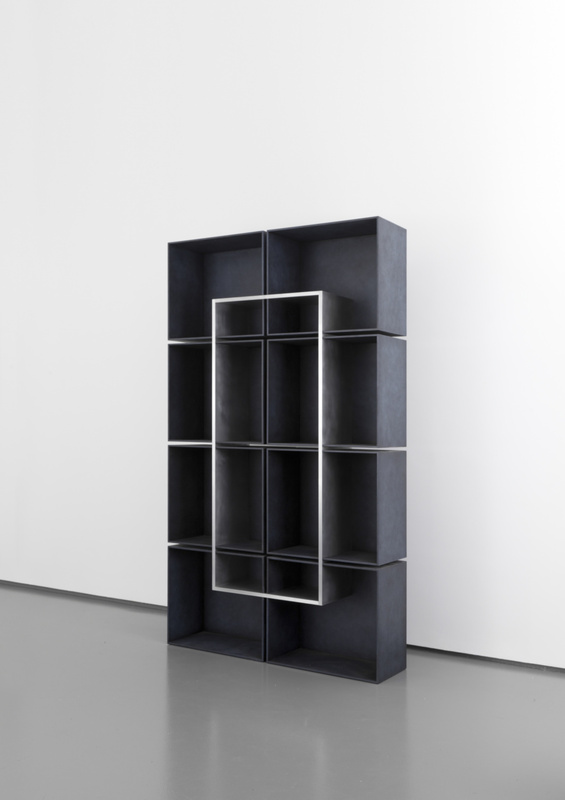 An aluminum bookshelf from Wonmin’s Plain Cuts collection (Courtesy Carpenter’s Workshop). How is this collection different from what you have done in the past? What are you most proud of? 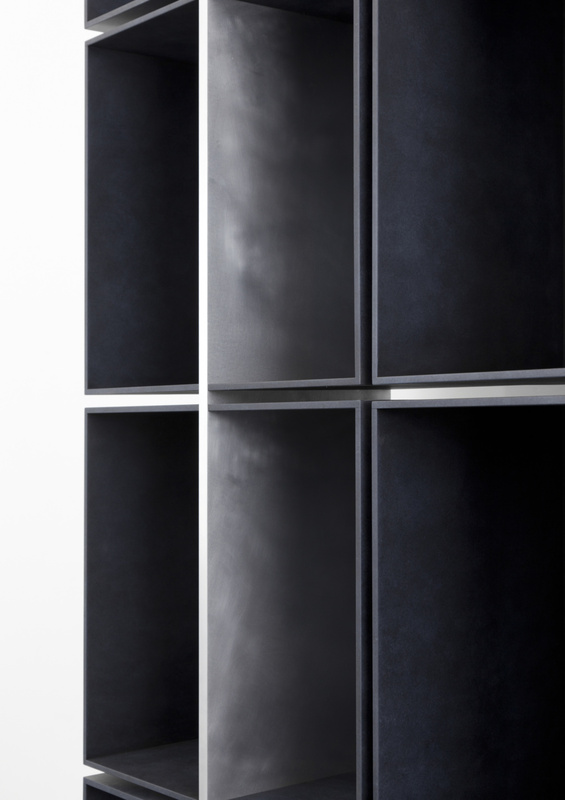 The idea of my new collection Plain Cuts is cuts of plain aluminium sheets that are reconstructed. I’m known for my Haze series, which I worked on with resin. [Plain Cuts] is my first work with metal. I like resin because of its color, transparency, and texture, but it is not a strong material. Therefore, I needed to create a certain form of structure. I’m trying to create essential forms. For me, simple forms are more difficult because it has to be reasonable and still be interesting. I believe it brings the most powerful result. An aerial view of the four plates table (Courtesy Carpenters Workshop Gallery). 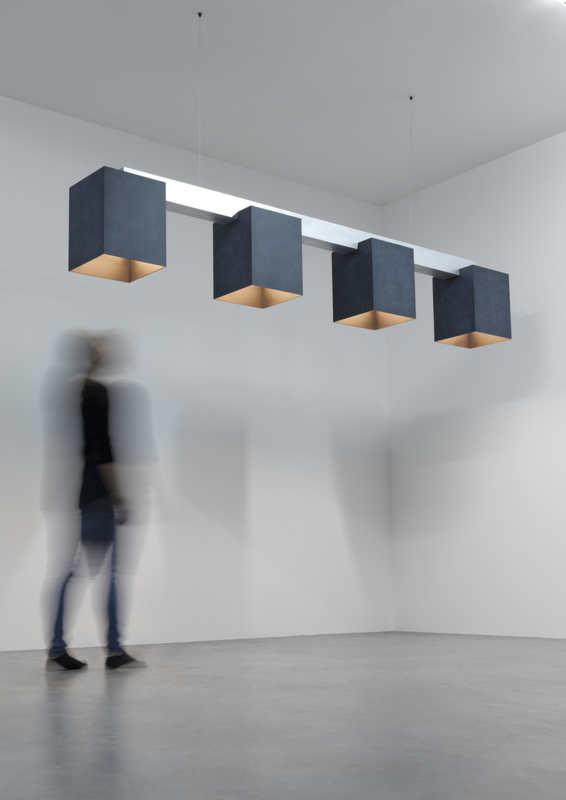 Four boxy box lights (Courtesy Carpenters Workshop Gallery). 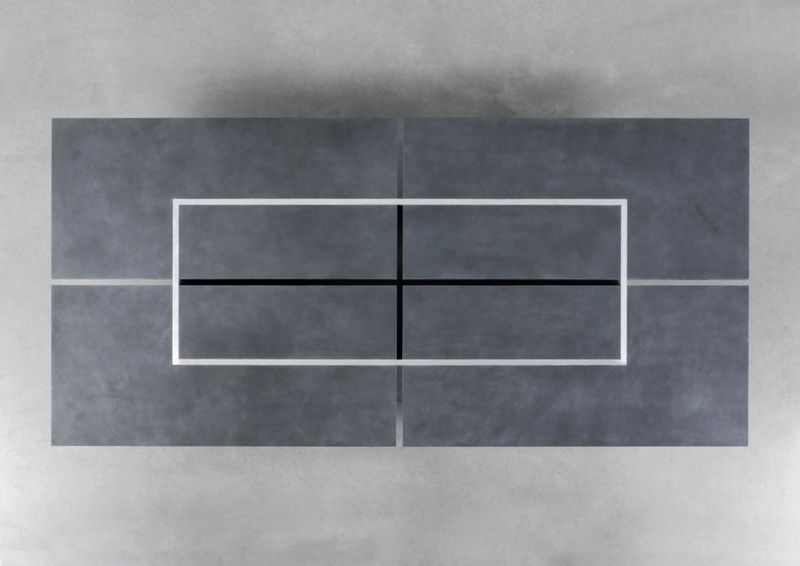 Plain Cuts aluminum patina series by Wonmin Park is on view at Carpenters Workshop Gallery through March 10th. You can learn more about the exhibit on the gallery website.